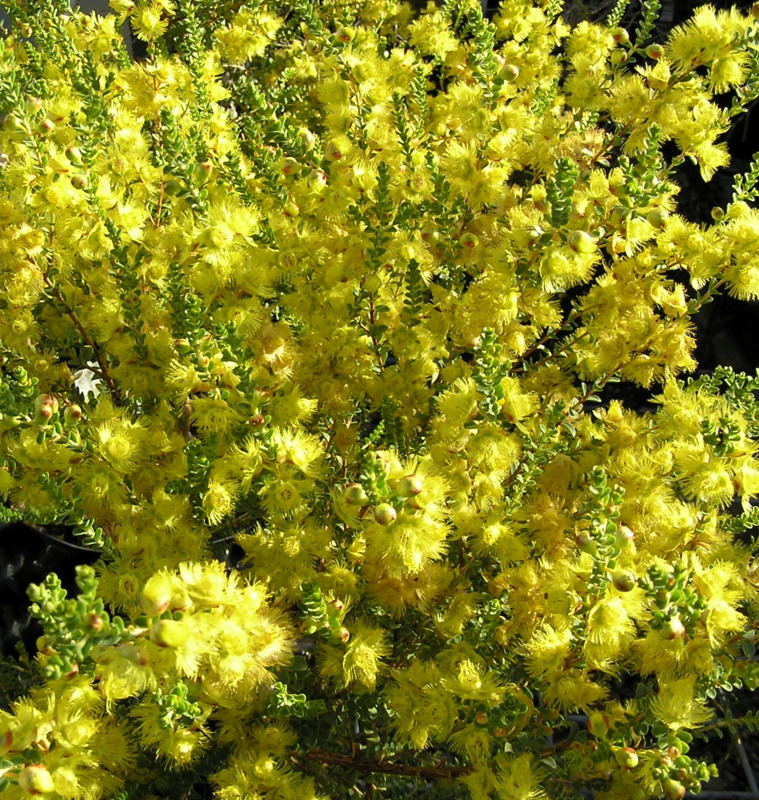 Verticordia is a large genus (101 species) of Australian plants with a diverse range of colours including reds, yellows and golds with terminal flower forms, some of which flower over the Christmas period. Red and yellow flowers should capture some of the festive season market and fill a gap in availability at this time. Survival of productive plants is problematic with many becoming woody. One way to ensure longevity and productivity of Verticordia as cutflowers or amenity plants is to graft onto suitable waxflower rootstocks, work pioneered by the Department of Agriculture and Food. To ensure longevity and productivity of Verticordia as cutflowers or amenity plants, grafting onto suitable rootstocks may be necessary. The genus Verticordia is part of the Myrtaceae family, and closely related to waxflowers (Chamelaucium species). Several waxflowers are suitable rootstocks for grafting Verticordia scions. By careful selection of rootstocks, grafting can assist plants to survive in various soils. 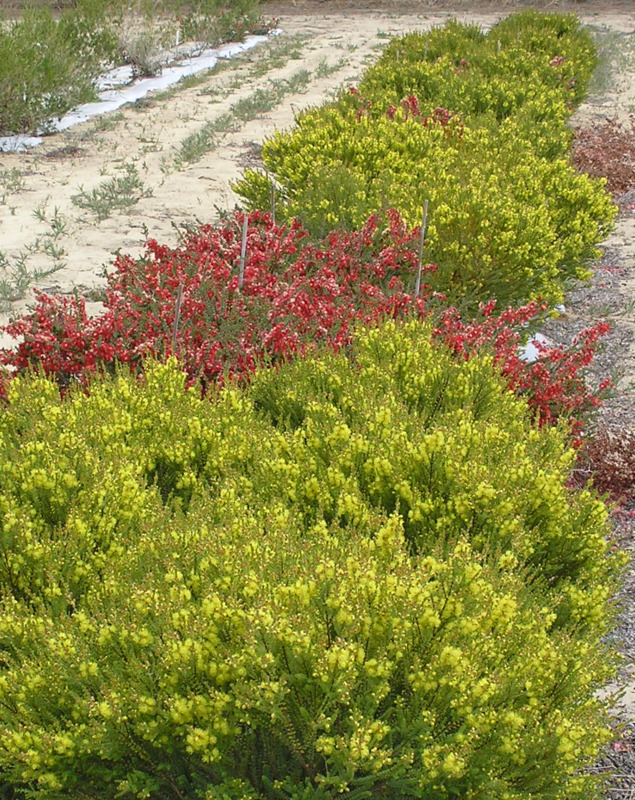 Two Verticordia selections have been successfully grafted onto waxflower rootstocks: the bright red large-flowered semi-terminal V. etheliana and the yellow small-flowered V. chrysostachys. Plants of V. etheliana flowered at Medina, south of Perth from July to November with some flowers into December. V. chrysostachys flowered from November to January with a peak in December. Both grafted species survived well in cultivation, produced moderate stem numbers with a range of short to moderate stem lengths and a vase life exceeding two weeks. Their form lends well to a low to medium height border amenity plant requiring minimal maintenance.